﻿ Baan Nilawan Hua Hin Hotel, Hua Hin / Cha-am | FROM $16 - SAVE ON AGODA! "The room was nice, cleaning every day and water replaced." Have a question for Baan Nilawan Hua Hin Hotel? A little hotel set in a tranquil spot and near a charming beach sits this 2.5-star accommodation. 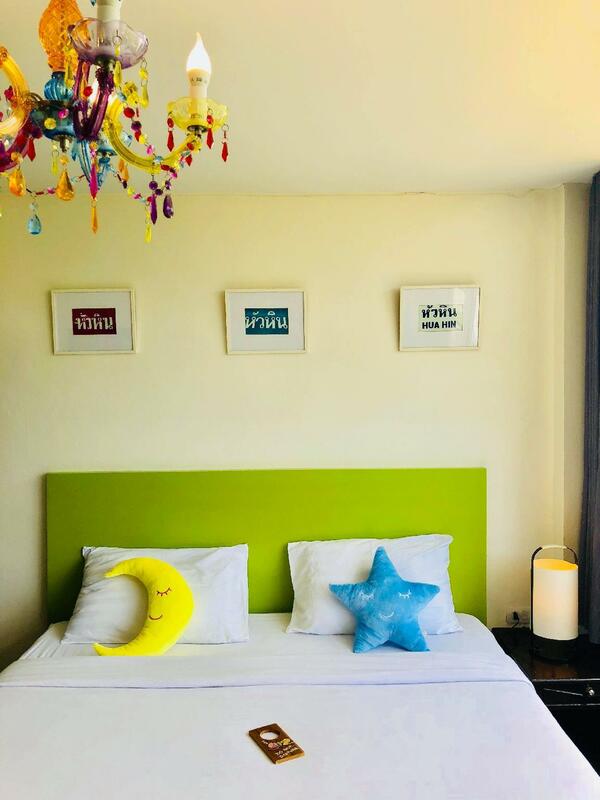 All rooms are tastefully furnished with contemporary décor and fitted with all the modern facilities you could possibly desire to ensure a comfortable and convenient stay. Within walking distance are numerous eateries as well as 24-hour convenience stores. Baan Nilawan Hua Hin Hotel provides guests with a convenient location close to the beach, dining venues, as well as Hua Hin. 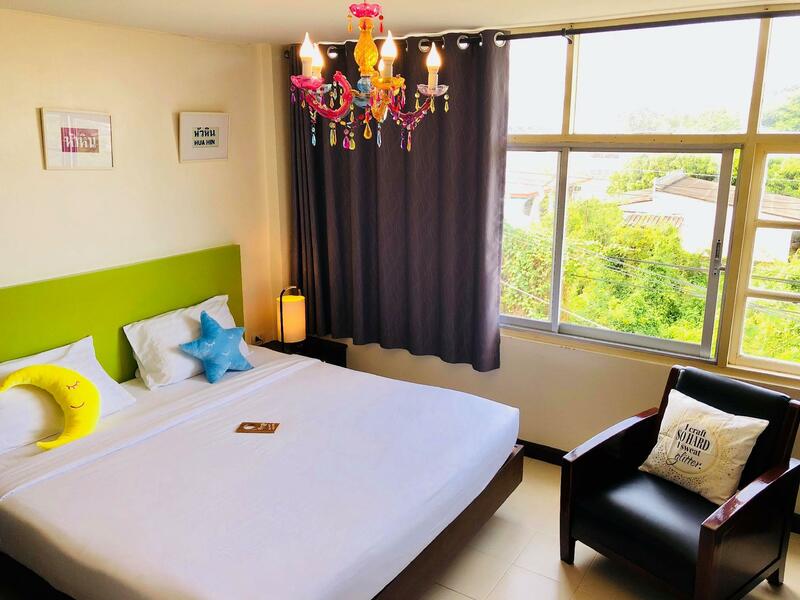 The hotel is located about 3.5Km from hua hin airport and 3.5Km from city center, i stay here for my last night in hua hin bcause is near the airport. The hotel area is very quiet, some building next to the hotel is abandoned without tenant. The american breakfast they served for free. Room is ok and clean and hotel staff is friendly. We had a nice stay in this hotel. It is a 5-10 min bus ride into the centre of Hua Hin beach and unfortunately there are no restaurants around this hotel so you have to venture out every night. Luckily we found out that you can hop on and off the green truck buses which were only 10 baht each rather than pay 300 baht for a tuk tuk! The room was nice, cleaning every day and water replaced. Breakfast very basic, just toast, sausage and egg. No juice just water or tea/coffee. We wanted somewhere quiet and that’s what we got so overall a nice stay. it's like a modern home stay. owner (also the stuff) can speak English, helpful and friendly. 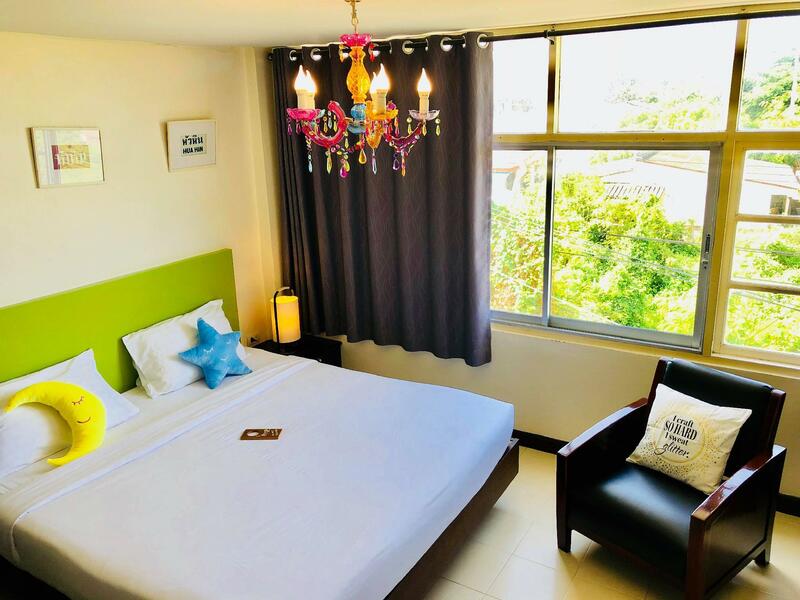 The location is 5min ride from the town, hence they provide motor rent (300batt for 24 hour) and also taxi service (100batt to go to town area and also other tourist hot spots). It's a family oriented and operated homestay. Hence, do not aspect too much on the cleanliness and facilities. but I like their design and yard outside the hotel. cozy and relax stay in Baan Nilawan. We stayed for 2 nights at Baan Nilawan Hotel and it was a refreshing stay. The breakfast was low in variety but good in quality. The people were warm hearted and booked a bike for Baht 250. The only con is that it is far away from the main beach. It's is one of the best hotels in Hua Hin with cheap price but lovely hotel with friendly staff. Everything is new and cleaned. The alley is located with a cheap and good restaurant with food delivery service. Clean room, nice and comfort. Very attendtive and friendly staff. Stayed for 2+1 nights. I had to go to Hua Hin one day earlier, and called the hotel. Staffs are very attendtive and fast response. The place is a short walk from main road, not a big problem when you come by car. Opposite Golden place where you walk across the road to do some small grocery shopping. Not very far from downtown. Nice, and quiet at night, good for resting after long hard day. The only drawback is that they don't have elevator, and my room is on 3rd. floor. If you come with many luggages, make sure you asked for help, they will be glad to..
we are quite ok with hotel except that we can't open the curtain. we have a baby with so many thing to carry for her. good luck that we've got room on 2nd floor. our room is clean and good decoration. staff is fine. I stay here no too long but very nice.If like to stay quiet place you. But also stay deluxe room is more better..
so far so good. staff nice, breakfast nice, not very far from nite market by trasport. with some mosqiture but still ok overall. The internet didn't work the first day I was there (the second day was all right) and that changed the whole trip in Huahin as I had to bring my computer to a different location to access people, making trips heavy and cumbersome. You also aren't allowed to wear shoes on the premises, which is inconvenient when carrying luggage. The owner also didn't speak Thai to me even though I spoke Thai to him. This is an ok hotel but be warned it is about 2 miles out of the main town. They do have a hotel taxi if you can find a driver! The cost to the town is about 150 bhat which can be quite exoensive if your coming back and forth from the town. Hire a motorbike from the hotel about 200 bhat a day. I found Hua Hin a busy and expensive place the beach is quite dirty. spending my stay living here for 3 days 2 nights; all surroundings are convenient. though the rount is far from the stay for 200 metres to night market, it's still easier to catch the public car to any interesting places. however, i could find out the route to the sea behind the guesthouse. and i was confused of the route. to find out this guesthouse, it is easy to notice the landmark that is opposite to the supermarket and front furniture shop. next time, i may visit here again. this hotel was adequate for our needs and was close enough to walk to a big supermarket that so we could easily restock on some essential items. it is also only a short drive to some lovely local fishing villages were we had some of the best food we've eaten on this trip. further up the road (about an hour, there are swimming spots. We will not stay this hotel any more including telling the others about our comments as well. The Chief Officer does not have the service mind and impolite which is not suitable to the service job function. Therefore, please change new management person. We arrived very late - probably around 3.30AM. The person at the front desk was a little grumpy when we got there. However, we saw the same guy in the AM and he was very pleasant and helpful then. Maybe he was just tired! :) The rooms were fine, A/C worked well. No elevator, and we were on the 3rd floor. Not a problem for us, but older travels with bags might want to be forewarned. The location is really in the middle of nowhere - but it was fine for us. the staff were very helpful - they were able to arrange for extra nights for me and ordered taxis and laundry. 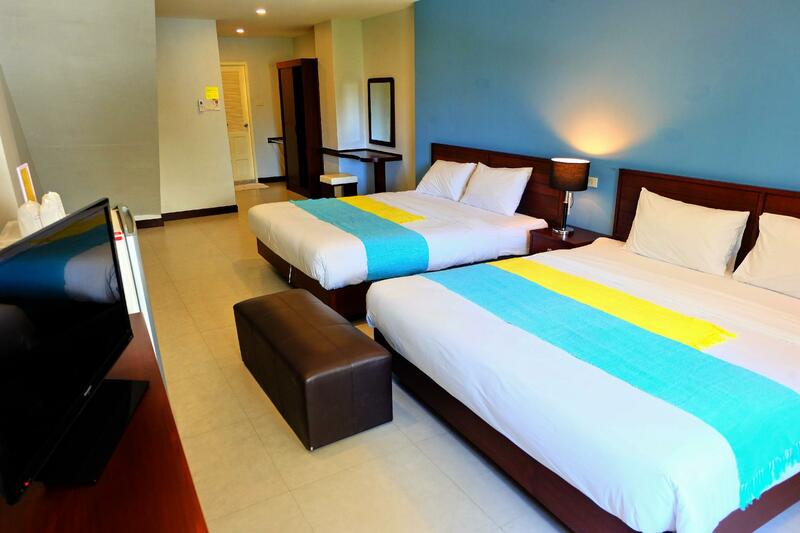 the hotel is about a 20 min walk from the centre of hua hin and about five mins to the beach. The hotel is nice and quiet. The rooms are decent enough, but what you would expect from a 2 or 3 star hotel. The location is a bit far from the main part of town, but a short bus or scooter ride away. The bad part was that the staff made you take off your shoes as you entered the building. They would get angry if you didn't. The beach is about a 10 minute walk away which isn't too bad. it was a great experience, the people working there and the owner are very polite. they are all welcome to service at any time. the breakfast was not enough but this is the case generally in thailand. the rooms were regular and the hotel has also bikes to rent in a great price. if you do not seek luxury and swimming pool this hotel is definatlly a great choice! !